NOTE ON AVAILABILITY: This manifold will ship anywhere from 5 to 7 days after your order placed. 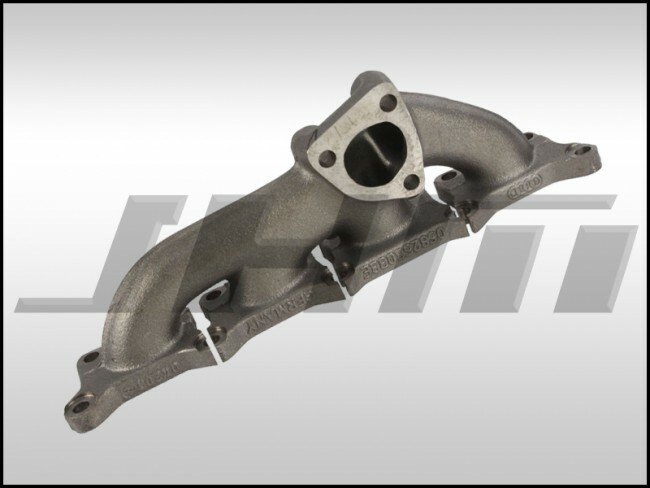 This is an OEM Exhaust Manifold for your B5 or B6 A4 1.8T. This is the same manifold that came on your car from the factory. Sometimes the factor manifolds can fail due to small cracks after many miles of use. The Part Number for this piece is 058253033E or 058 253 033 E.